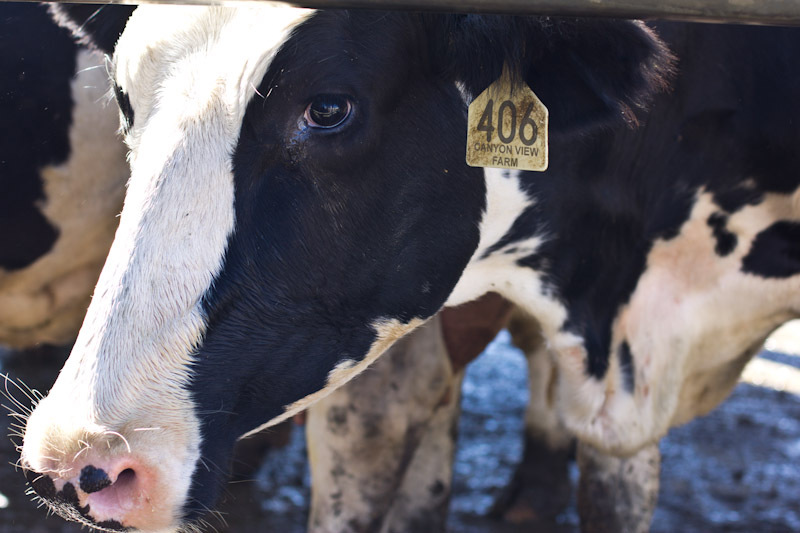 Last week a small group of folks loaded into a bus at the Utah Dairy Council in Salt Lake City and headed out on an adventure to tour a Milk and Cheese Farm in Heber Valley, Utah. Along the drive we heard more about dairy farms in Utah, big and small, and the passion behind many of the farmers and producers in our state. When we arrived, we stepped out our doors to lush green grass, mountains in all of the best fall colors, and a big red barn with the word Cheese draped across its exterior, we had arrived at Heber Valley Milk and Cheese Farm. We were greeted by the owners, Grant & Caralee Kohler, who guided us around their farm showing us the back-story of how they get their milk, take care of their cows, and create their artisan cheese line. We walked along the gully where the cows are fed and walked through the building where the same cows would later get relieved of their milk. As we walked into their store front, I noticed many locals coming in and out, buying cheese and milk, or even a double scoop of their homemade ice cream. 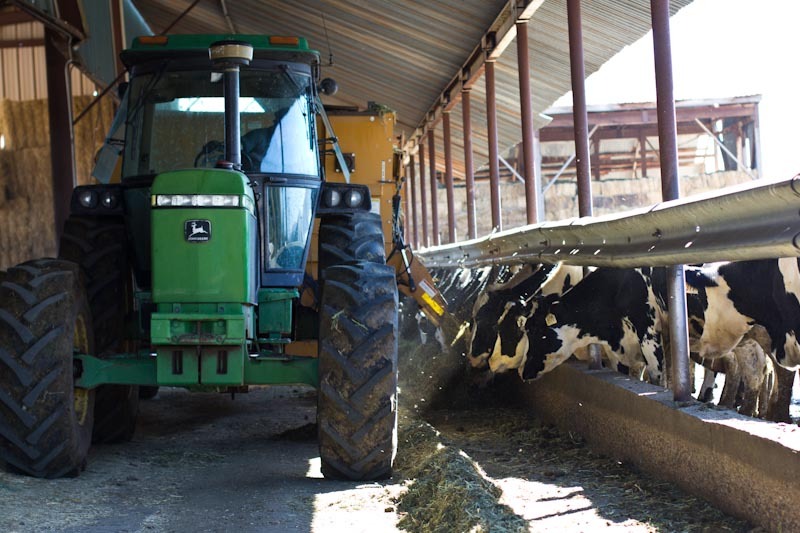 Basically, it’s a little dairy heaven nestled right in a the beautiful mountain setting of Midway and the Heber Valley. As we tasted the cheese and milk we all had our favorites. I personally enjoyed the Heber Valley Juustoleipa Cheese which you can heat up by lightly browning the cheese in a frying pan, tasting perfectly toasty. I also enjoyed their Wasatch Back Jack, an award winning cheese that’s a spicy blend with their homemade salsa. Their garlic cheese spread was also a delightful surprise, and is said to have fans that travels miles to buy it. Luckily, if you’re far from Heber, you can also order their cheese products online. 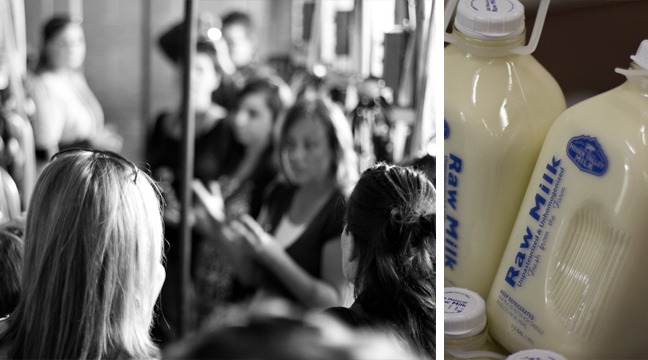 We even got the chance to try their raw milk. 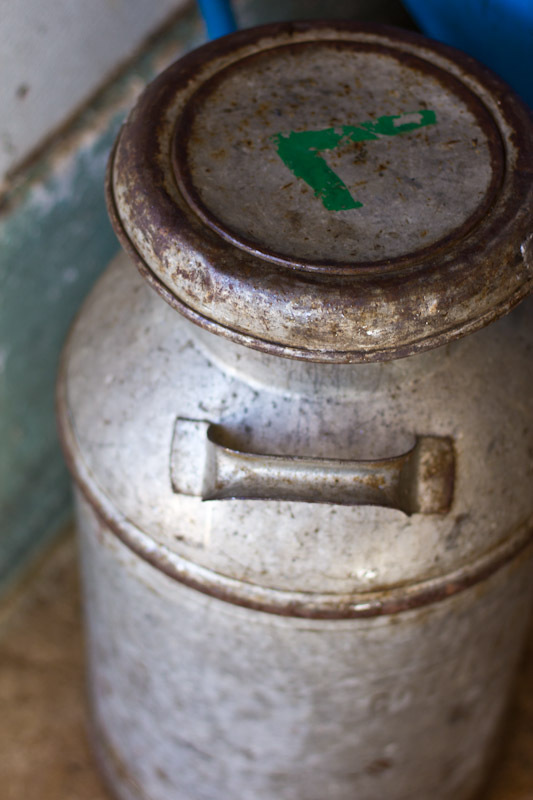 How often do you get milk that’s truly fresh and free of hormones and additives?! It was pure and delicious. And you can pick up a jug or two of their raw milk at their store. The best part of the tour was getting to spend time with a down-to-earth family whose passion it is to continue their dairy farming heritage, which is now 4 generations strong. What started with some Swiss Immigrants with strong work ethic, ended with a beautiful thriving farm thanks to their artisan cheese line. 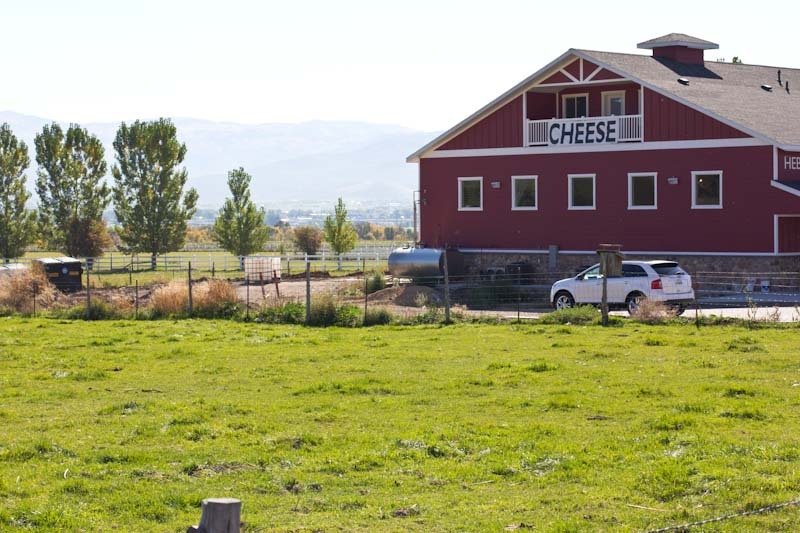 You can read more of their farm story on the Heber Valley Cheese website or hear it first hand and go visit the farm and grab some of their fresh cheese and a scoop of ice cream. And just a little insider tip from the farm… their currently creating several new products including a chocolate cheese, Alfredo cheese, and a Choke Cherry Cheese. Stay tuned for more info! 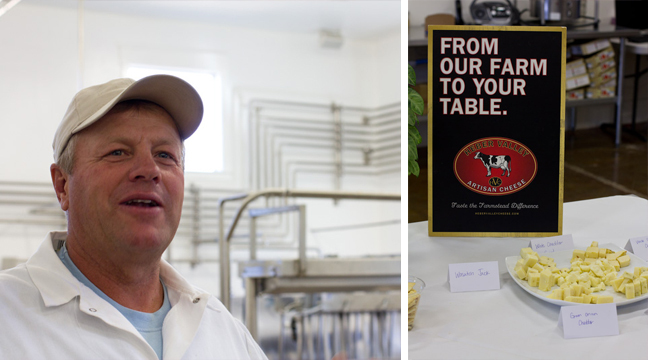 I loved getting a behind the scenes tour – and their cheese is absolutely amazing!! Your pictures are beautiful! Love how you captured the farm and the cheese shop!